Mission Bell, the highly anticipated fourth album from the Philadelphia-based singer and songwriter, has already spawned a radio hit, “Windows Are Rolled Down,” which was released digitally in November. The track is currently No. 11 at AAA radio and has remained on the chart for nine weeks with airplay on more than 75 stations. Three tracks from Mission Bell will be made available as free downloads this week. “Windows Are Rolled Down” will be available at more than 8,000 U.S. stores as a Starbucks Pick of the Week iTunes download beginning January 26th, iTunes will feature “Violin” as their free “Discovery Download” selection for the week of January 25th through the 31st, and “El Camino” will be Amazon MP3’s “Free Country Song of Week” beginning January 25th. Lee is currently on the road for his 2011 U.S. headlining tour in support of Mission Bell, which includes a performance for NPR’s Mountain Stage live music program, broadcast from Charleston, West Virginia, on April 24th. (Please visit Amos Lee’s show page for tour dates). When the tour concludes on April 29th, Lee will travel to Louisiana to perform on the Gentilly Stage at the New Orleans Jazz & Heritage Festival on April 30th. Please visit the New Orleans Jazz & Heritage Festival page for more information. Wow! Here we have biggest music release in months with many fantastic reissues and vinyl record releases. I highly recommend Wanda Jackson's Jack White produced covers album, Iron & Wine's' Kiss Each Other Clean,' Deerhoof's 'Deerhoof Vs. Evil' and Amos Lee's 'Mission Bell'; just for starters. Each week, Behind the Counter speaks to an independent record store to ask about its recent favorites, best sellers, and noteworthy trends. 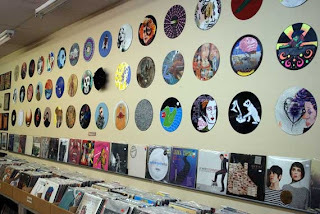 POPshop & Spazz Records in West Monroe, Louisiana, is a record store and art boutique run by Brad and Leslie Richman. 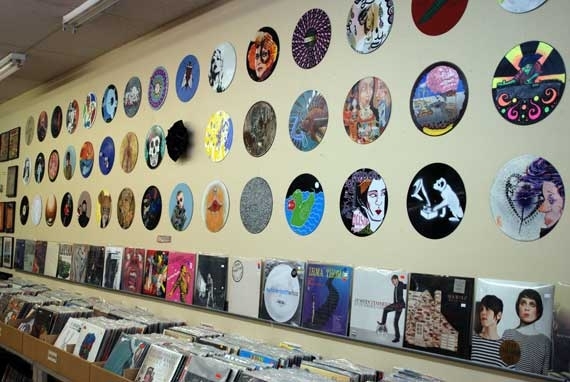 With a focus on metal and punk, the dual-purpose storefront is, according to its owners, the only store in the area to carry new vinyl releases. For its favorite-record photos, Brad, Leslie, and employee Erica Hijazi went all out, coordinating their clothing (and beverages) with their picks. It's that attention to detail that makes POPshop & Spazz the focus of this week's column. 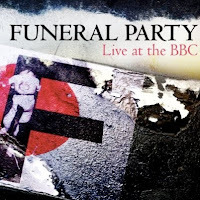 LA based Funeral Party have released an EP titled 'Live at the BBC' today. The EP features several tracks recorded late last summer when the band was invited into the studio for a special live session after BBC Radio’s Zane Lowe added multiple Funeral Party tracks to his “Hottest Record in the World” playlist. The band is readying their debut album release in Golden Age of Knowhere, produced by Lars Stalfors (Matt & Kim, The Mars Volta) and mixed by Dave Sardy (Band of Horses, LCD Soundsystem, Oasis). Golden Age of Knowhere will be released via CD and digitally on March 29th, while vinyl will be available on February 15th. A limited edition vinyl format of My Chemical Romance's widely-acclaimed new album 'Danger Days: The True Lives of the Fabulous Killjoys' is now available exclusively through UK Undercurrent at ukundercurrent.com . This format is issued on black vinyl and will be limited to 2500 copies worldwide. An even more limited run of 500 coloured vinyl records is also available from http://www.mychemicalromance.com/ . Of the six men who made up the Three Stooges, three of them were real brothers (Moe, Curly and Shemp.) Hey Moe! A full seven percent of the entire Irish barley crop goes to the production of Guinness beer. Hail ale! In 1969, Creedence Clearwater Revival released the "Proud Mary" LP. In 1975, "Please Mr. Postman" became a US number one for the second time when The Carpenters took it to the top of the Billboard Hot 100. The Marvelettes version led the hit parade in January, 1961. Although the Beatles also recorded a popular version of the song, it didn't make the American Top 40. In 1978, Randy Newman had a lot of people upset when his song "Short People" hit the top of the Cash Box best sellers list. The song was meant to poke fun at all prejudice and did just that with the line "short people got no reason to live". Before "Short People", Newman was most noted for writing Three Dog Night's 1970 chart topper, "Mama Told Me Not To Come". These days, he can be heard singing "It's a Jungle Out There", the theme to the US TV show Monk. Former Lynyrd Skynyrd guitarist Allen Collins died of pneumonia in 1990 after being ill for several months. He was 37. Collins had survived a plane crash in 1977 that killed three other band members. "Good Day Sunshine" - Paul McCartney wrote this on a sunny day at John Lennon's house. It was influenced by the Lovin' Spoonful, who had a happy hit with "Do You Believe In Magic?" If you see her today, wish Alicia Keys a Happy Birthday! and in 2010, KISS rang the closing bell at the New York Stock Exchange. Is there anything they haven't done?? 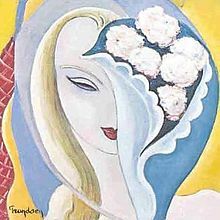 Derek and the Dominos' 'Layla and Other Assorted Love Songs' Turns 40! In the world of rock there are recordings that truly resonate in historical importance and continue to cast an enduring shadow of influence. Layla and Other Assorted Love Songs is one of the most steadfastly revered musical treasures of its era. Its famous title track is still hailed as an essential rock guitar anthem, a signature tune of rock's leading guitar hero, Eric Clapton. Derek and the Dominos came together at a very special time and place – riding a late '60s wave of interest in roots music and blues-based rock and roll. 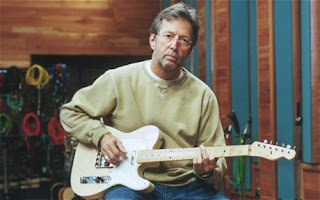 In 1969, Clapton found inspiration playing in the loose, family-like structure of Delaney and Bonnie and Friends – an American, R&B-influenced entourage whose 1969 U.K. tour hit the British music scene with seismic proportion. Clapton's profound adoration of the American blues tradition – in all of its forms and styles – is one of the most prominent threads in the musical tapestry that is Layla and Other Love Songs. His choice of blues-based tunes to cover on the album stretches from "Nobody Knows You When You're Down and Out" (made famous by Bessie Smith in 1923) and "Key to the Highway" (associated with Big Bill Broonzy, from 1940) to Chuck Willis's plaintive R&B ballad "It's Too Late" (1956), Freddie King's "Have You Ever Loved A Woman" (1960), and Jimi Hendrix's "Little Wing" (1967). Layla and Other Assorted Love Songs achieved gold-album status within months of its release in late 1970, was entered into the Grammy® Hall of Fame in 2000, and today remains a ubiquitous entry in various "Top 100" and "All-Time Greatest" polls, and "Must Hear" lists. To be released March 29, 2011, Layla and Other Assorted Love Songs: The 40th Anniversary Deluxe Edition is a multi-format collection offering an appropriately comprehensive salute to this iconic album and the band that created it. The set will feature the original double-disc album in both digital and vinyl formats, expanded to include newly remastered tracks, and a treasure trove of music. 7. 7-inch vinyl single/Digital equivalent "Got To Get Better In A Little While" b/w "Layla"